Bourbon in College – I'm a College student sharing my whiskey journey. Check out My Podcast on your favorite podcast app, Instagram @bourbon_in_college, and Youtube Channel. I'm a College student sharing my whiskey journey. 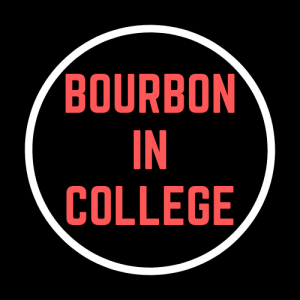 Check out My Podcast on your favorite podcast app, Instagram @bourbon_in_college, and Youtube Channel. Here I review the famous Booker's Small Batch Bourbon and recap my Bourbon hunting trip to Houston. Here I interview owner and master distiller of Baton Rouge Distillery, Ricci Hull. I also review I.W. Harper. I convince my roommate to come on the show and try whiskey for the first time. I get him to review Buffalo Trace, Redbreast 12, and Monkey Shoulder. I also review Angel's Envy Finished Rye. In this Youtube Podcast crossover, I reveal the top 5 Bourbons under $50 dollars voted on by you guys on my Instagram (@bourbon_in_college). Here I give my Bourbon Hunting tips and review Maker's Cask Strength. Here I tell my Whiskey origin story and have a guest tell his as well. I also review my first real bourbon, Buffalo Trace. I discuss how to find your perfect whiskey community and the advantages of being in a community. I review Smooth Ambler Contradiction. Here I talk about Rye Whiskey and review a store pick of Whistle Pig 10 Year. Today I review Angel's Envy Port finished Bourbon and compare common types of glassware. Maker's is a classics, often misunderstood, bourbon. Here I clear the air and review the classic Maker's Mark Whisky. I also discuss Whiskey vs. Whisky.